Directions: West of downtown Portland, with easy bus service. 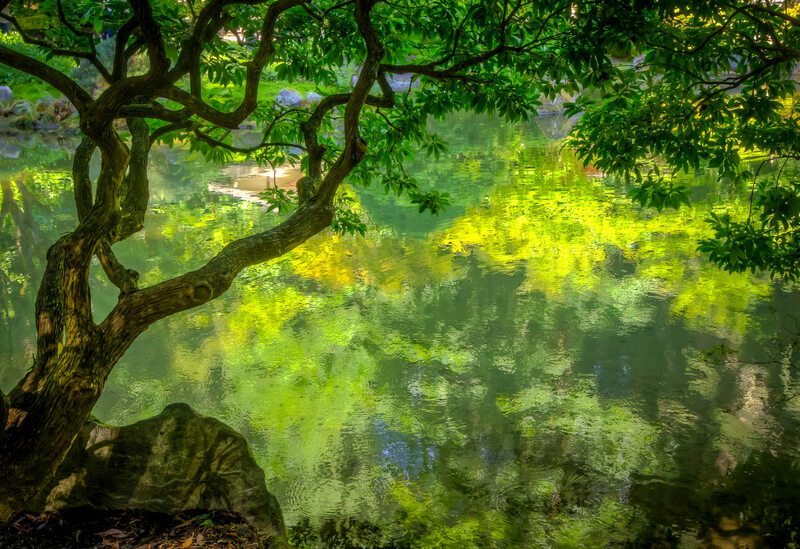 The Japanese Garden in Portland, OR is set in a beautiful park, adjacent to the Portland Rose Garden. Famous for a spectacular, and deceptively small Japanese maple tree, it actually has a lot more to offer. Get there at opening. ‘Tis a beautiful place but keep in mind that photos may not be sold unless you were a member when the photo was taken, and maybe each year that you continue to sell the photo. I also heard there are new reqs for tripods, too. Refer to their web site for current restrictions.